In Nathan Matthews, Oscar Soto and Micheal Gentry’s comedic ‘Life of an Artist,’ the pompous Professor offers his hopelessly flawed account of life in the conventional art world, while his hapless Pupil struggles to conform to his demanding narrative. The audience plays an active role in the performance, participating while reflecting on their own struggles to be creatives in today’s world. The Professor is better than you, smarter than you, more creative than you, and has more success than you can ever hope for. Due to this imbalance between an unrequited genius and the countless hopeless creatives of Charlotte, The Professor has selflessly decided to help you all. 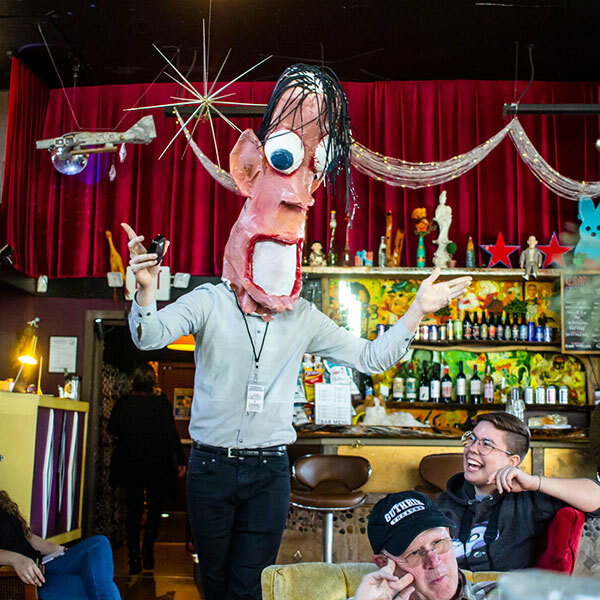 Through comedy, satire, and paper maché, the character created by Nathan Matthews (To Be Sure, Mall Goth, GASP), is here to guide you through the tumultuous waters of creativity in the modern age. 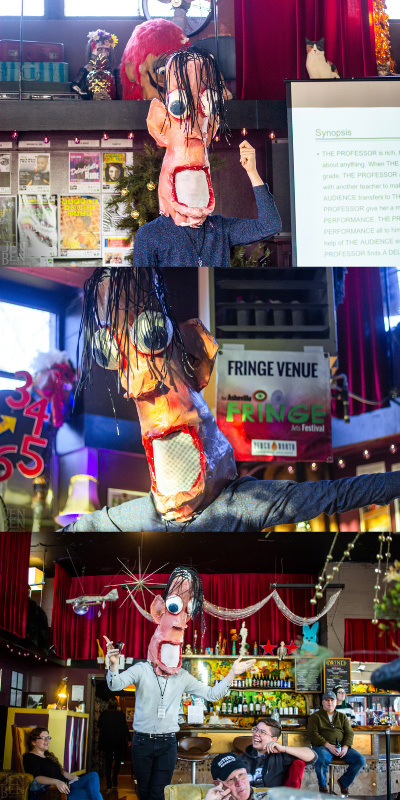 Aided by Michael Gentry portraying “The Artist” and Oscar Soto Mitchell creating “Energy” and supplying the visual aspects of the performance, we hope to make you feel inadequate, inspired, and a little less alone.